SAN DIEGO – May 22, 2017 – Competitor Group Inc. (CGI) today announced that Rebecca Warren has been appointed Editor-in-Chief of Women’s Running, the world’s largest women specific running magazine. Most recently the managing editor of Lonely Planet Magazine, Warren has an impressive track record in content creation and distribution across multiple platforms and digital channels. 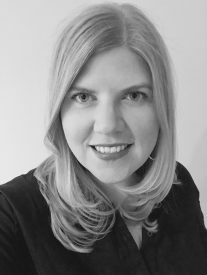 She began her career as a project editor at the Quarto Group in London and has worked for a variety of brands and publishers including DK/Penguin, Harper Collins and Vanderbilt University. The Women’s Running brand has experienced tremendous growth over the past 24 months, with a redesign and invocative editorial content leading to exponential growth in web traffic and social audience. Monthly visitors to WomensRunning.com average over 1 million and its social media following now exceeds 1,200,000. The growth parallels trend in the broader marketplace, where women’s participation is dominating the sport of running. According to Running USA, of the 17 million race finishers in the United States last year, 57 percent were female. For more information, visit WomensRunning.com.